Labour movements around the world need to innovate and organize in new ways, as the economy changes and the capacity to work in new ways with no boundaries in time and space. 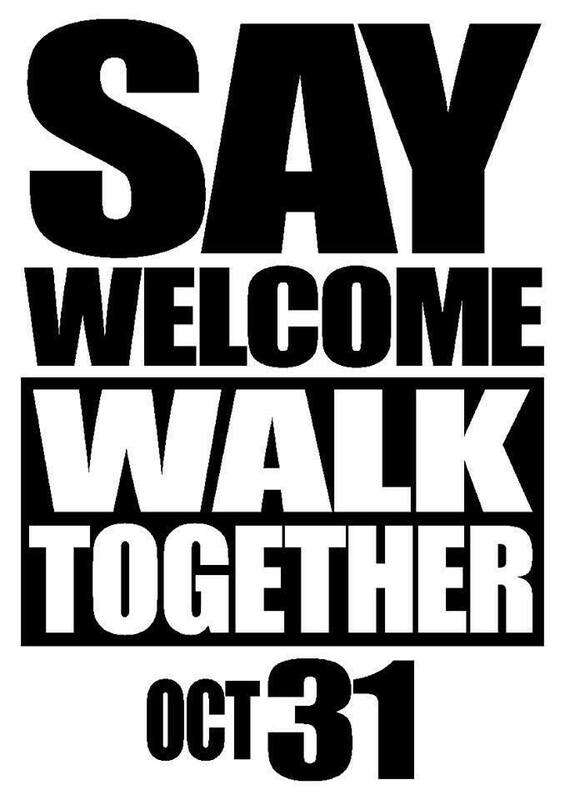 Joining with other movements like environmental justice, peace, anti-nuclear, human rights, women; the labour movement walks in solidarity and at times fuses and brings strengths to create a single strand of human action for equity and justice. These movements join together on line and have the capacity to create a digital tsunami. The voices on line, matched with feet on the streets can make a difference and highlight what needs to be factored in when you go to the ballot box. It is no longer enough to be concerned for those who have a job or want to have a job. The labour movement needs to speak up for both the light and the hill. The hill needs to be protected from mining magnates who disrespect traditional owners, the hill needs to be protected from shareholders who will vote in immoral wages for CEOs, the hill needs to be protected for future generations so they can enjoy the oxygen the trees not felled will provide and keep temperatures down. The light needs to be solar power, offered at an affordable price and use to connect to other energy sources. The light needs to shine in the cold and murky places and not just to be on the hill; to bring transparency, make invisible decisions visible and glow in the dark when fear and terror are being traded. Chifley’s light on the hill has deep biblical roots and reminds me of the duty statement of the Christian to comfort the afflicted and afflict the comfortable. To change hearts and minds and behavior is to engage those who are comfortable to understand and therefore change their response to those needing comfort. We all know what it is like to feel uncomfortable. There is the restlessness and moving on and off our spot, a queasy feeling in the stomach, a look of embarrassment, a furrowed brow of anxiety – all signs we are not at peace with ourselves and there is some kind of adjustment needing to be made to become more aligned. Gnawing away at the spirit and values to be challenged to bring justice requires a consistent effort over time. For instance, Wilberforce spent a lifetime as a legislator working to abolish slavery across the British Empire and lived three more days after legislation was finally passed. He campaigned and gradually dismantled the scaffold holding slavery in place, he created a movement and a partnership with a wide base of supporters. Those making their fortunes out of the slave trade were his enemies and they had friends in the parliaments. He had a great partner in his mission with Thomas Clarkson and together they were able to help the comfortable feel uncomfortable. In our time and place there are plenty of rights to be wronged, places where light needs to be shone for justice and also places where are best selves need to rise to the occasion so an entire movement can be a light on the hill for our nation. 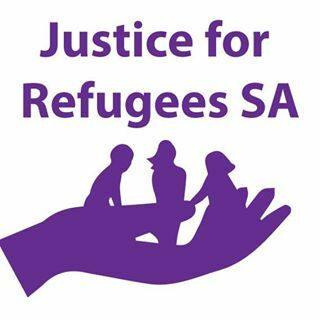 The plight of the 28,000 people here in Australia in limbo, having arrived seeking asylum and now waiting in no-mans land without any confirmation about their future – surely we could just offer an amnesty? We’ve done it before in our history (remember Tiananmen Square and the Chinese university students, remember the Vietnamese boat people?). To say nothing of the horror of what is being done in our name on Manus and Nauru! Movements begin, like the light, with a spark and as we know it only takes a spark to get a bushfire going … let’s climb to the top of our hill and light the candle we need to light to bring justice and feelings of discomfort to open the hearts of those who can make Australia a sanctuary, a welcoming place and deliver ourselves as a light on the hill. This entry was posted in Uncategorized and tagged amnesty, asylum seekers, Chifley, light on the hill, refugees on April 16, 2016 by Moira Were AM. The steps to the Cathedral in the city are made of slate from the village where I live. At the moment the Cathedral is under renovation. Francis is blowing a gale through the Vatican and all the restoration on the Cathedral will repair the damage done. The chair of this Bishop of Rome is made of something less brittle than slate. It’s a kind of leadership that many have been yearning for, a hark back to the founder of the firm, not an echo from the silence of stone in the empty chambers where pilgrims once filled the pews. Like so many of our institutions, the church is renovating and restoring, and that is not the answer to whatever question they think they are asking. Now is the time to stop conserving heritage listed spaces in our hearts and break open in true Eucharistic fashion the body and blood and spill it onto all the spaces empty of body and soul. And heaven knows there are so many of those. The tragedy of people displaced by war, persecution, natural disasters is alarming. In my country the borders of the land are almost as impenetrable as our hearts. Fear and compassion traded blows in the streets of Melbourne yesterday. (I did wonder if anyone from Francis’ team was there – I am sure there would have been a few.) As a young mum I campaigned in the 80s and then into the 90s on issues of refugees and racism. For my efforts, our house was attacked with bricks through the windows of our sleeping children’s home, graffiti on the outside walls of the house, tyres on our car damaged and public vilification and intimidation by a right wing terrorist group. Our phone was tapped and from time to time I am pretty sure I was followed. Acting in solidarity has a price. My efforts were very modest, writing, producing materials and building a community of activists to spread the word in their workplaces, churches, schools and families. I didn’t organise any big rallies and it was long before social media so no flash mob protests were visible. I was under the protection of the Council of Churches and I felt protected by their care for me and for my family. This is the work of communion. The UN says we have reached 60M people displaced for the first time in history. When I was campaigning it was 15M – the last time it was even close to the number we have now was during the Second World War. For you shall give courage to others. This entry was posted in Uncategorized and tagged Cathedrals, Greece, Macedonia, Pope Francis, refugees, restoration, Sor Juana Ines de la Cruz on August 29, 2015 by Moira Were AM.